Air traffic at Ben-Gurion Airport suspended for 10 minutes due to drone identified in airspace above Terminal 3. At about 7:20 p.m. Sunday evening, a drone was spotted hovering over the Terminal 3 building at Ben Gurion International Airport. The incident took place shortly after Vice President Mike Pence disembarked from Air Force Two. As a result, air traffic was halted for ten minutes as standard procedure for identifying objects above the airfield. Departures and landings resumed after suspicion of a safety or security incident was ruled out. 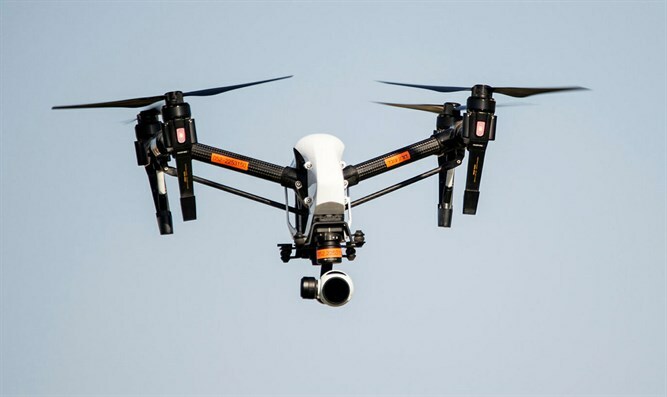 The Airports Authority views the use of drones in the airport area as a serious offense, and emphasizes that it is strictly forbidden to fly in the airport area. Following the incident this evening, a complaint was sent to the Israel Police and an operational debriefing was held.